2.4 Easily Set Default Values Any Time! 5 Accessing the Global Data Storage in Blueprints! Here is a way that Epic recommend to store data you need in a globally accessible way! Let's say you have an array of classes, item classes, tree classes, whatever, and you need to access this array or add to it from many different CPP or BP classes! With the help of the Epic-supplied Engine singleton class you can add to a globally accessible data storage during runtime, as well as set default properties to access during runtime. I caution you not to use this class for doing calculations of any kind! Remember any class could be accessing this data at any time and overwriting the contents! Use this class simply to store data like lists of common textures, common materials, common projectile blueprints, creature BP classes you want to access anytime so you can spawn them, etc. This global storage is ideal however for storing lists/arrays of classes or data that do not change during runtime. 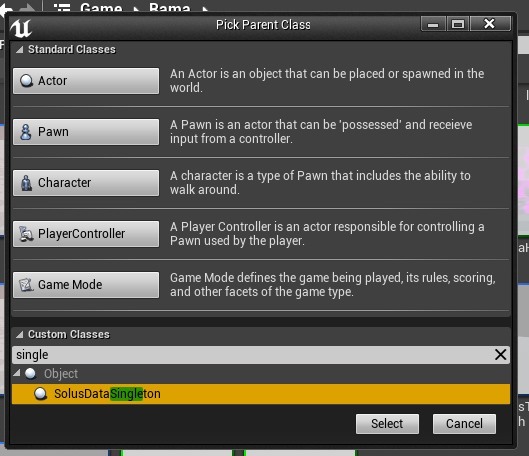 Additinally, via the setup I am showing you below, you can easily edit this global default data inside the editor! This makes creating a set of references to various project assets very easy to do! Easily Set Default Values Any Time! 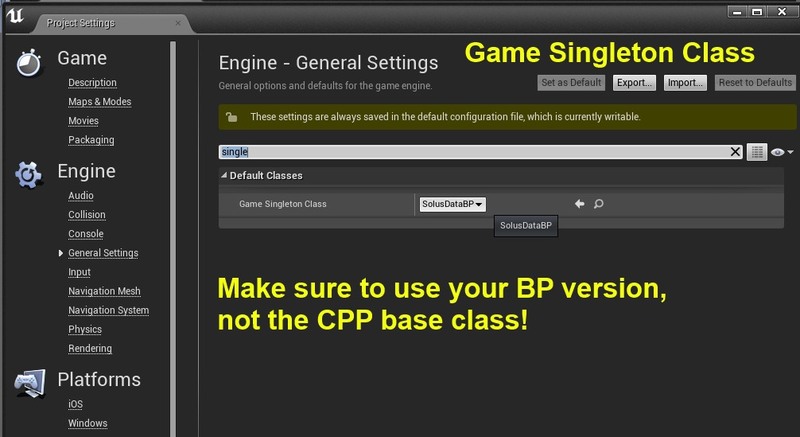 Make sure to use your BP of the CPP base class! Then you change the values / add to dynamic arrays, any time in your defaults, and the changes will be up to date when you use the instance during game time! // This class is a base class for any function libraries exposed to blueprints. // Methods in subclasses are expected to be static, and no methods should be added to the base class. If your Data Singleton class gets deleted misplaced or renamed in some unusual fashion, you can end up in situation where your project simply will not load! 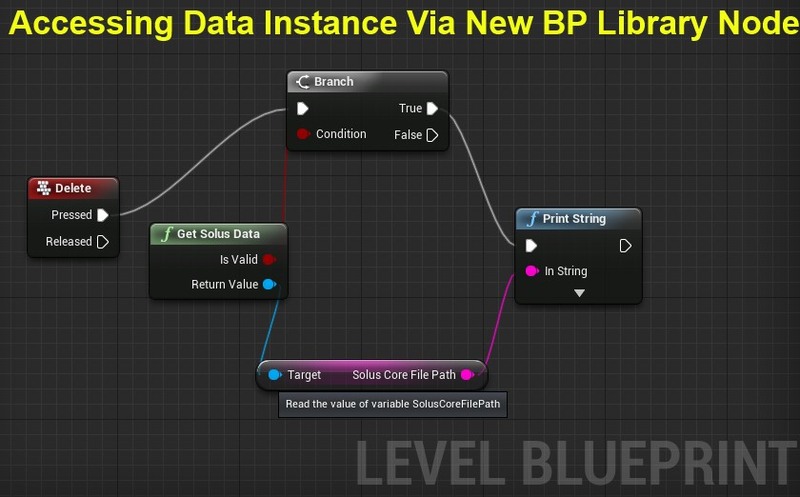 Accessing the Global Data Storage in Blueprints! Now you know a place you can store data that can then be accessed from any BP or CPP class during game time!